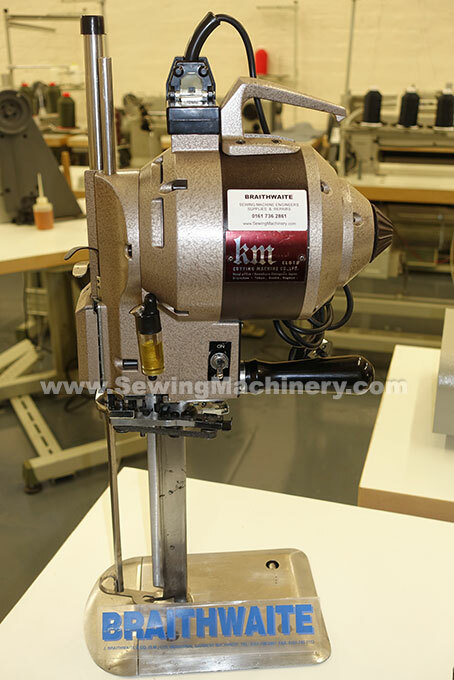 KM KS-AU V MACK 10" straight knife industrial cloth cutting machine. With auto blade band sharpening device and central oiling device. 220-240V standard 13amp UK plug.